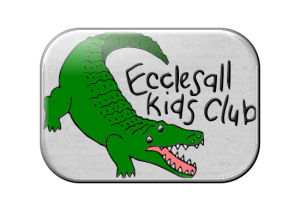 Ecclesall Kids Club is introducing a new online registration, booking and payment system and we need your help and cooperation to make this a success. Parents/carers register and enter their children’s information. The club checks registrations and transfers balances and invoicing to the new system. Bookings for Summer and Autumn 2018 will open after February half-term and parents/carers will be able to book places and setup payments. All parents/carers who want to use the club must create an account on the system and register their children. Follow the on-screen instructions to create your account and select all the schools and centres you use. 2. MagicBooking will send you an email to validate your account. Click the link in this email and log-in using the account you created. If you don’t get the email check your junk mail folder. 3. Click the “Add child” button. Follow the on-screen instructions to register your child, please provide all the requested details. Please ensure you fill in all the sections (and tabs on a PC) of the form. Repeat this step for each of your children who uses the club. Why is the club doing this? To make it quicker and easier for parents/carers to make bookings, change bookings and pay. To reduce the admin burden on our staff, enabling them to spend more time caring for our children. To ensure we are storing personal information securely and protecting it. To remove the need to store large amounts of paper in the club (we will have less storage space in the new primary and want to fill it with toys not files!). To enable us to make our booking and payment policy more flexible. To enable the club to grow in the future. When will I be able to make a booking using the system? If everything goes to plan, we aim to open bookings for 2018 early next half term. We will send instructions on how to book at this point. If for any reason we are not ready our paper booking process will be used as normal. The whole process will take about 15 minutes (for 2 children). It is quicker on a PC, laptop or tablet than a mobile phone. You can use the service on any internet-connected device, a mobile phone, tablet or computer. If you do not have such a device Ecclesall library has a number of internet-connected PC’s available for public use. Please use the contact form at https://ecclesallkidsclub.magicbooking.co.uk/Home/Contact to get in-touch with our supplier or us for help or email ecclesallkids@gmail.com. The clubs staff have not been trained yet (they will be!) and will not be able to help. Is my family’s data secure? Yes – The new service is hosted in the UK by Microsoft, Only staff authorised by the club will be able to access your data.